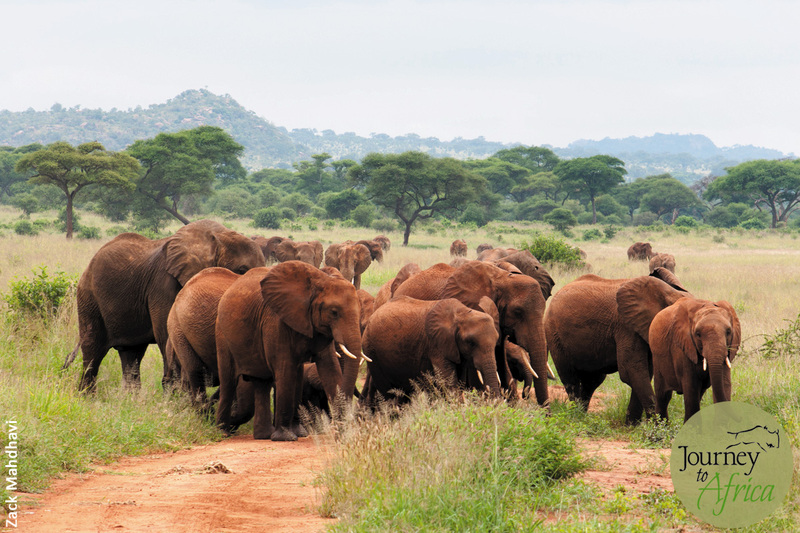 We had the pleasure of spending a nice long time with this large elephant herd in wild Ruaha National Park. The herd was about 30 elephants strong but the best part was seeing lots of young ones. The age ranged from a few months old to a few years old and all were under the watchful eye of the many female elephants. Even in the elephant kingdom, it takes a village to raise kids. We saw the babies play with each other, babies becoming mischievous with each other and using their trunks to wrestle, who is stronger and who is going to run away when the tough get going. All of this play was conducted under the watchful eye of the mamas who were never far away from their young. Then, one of my favorite moments happened. A baby elephant only a few months old came to his mama and enjoyed a special bond only a mama and baby can have. Feeding time! And we were so close, we could hear the satisfaction smack after the meal. Priceless. Call us on our Toll Free No. at 1.877.558.6288 or 713.592.6228. 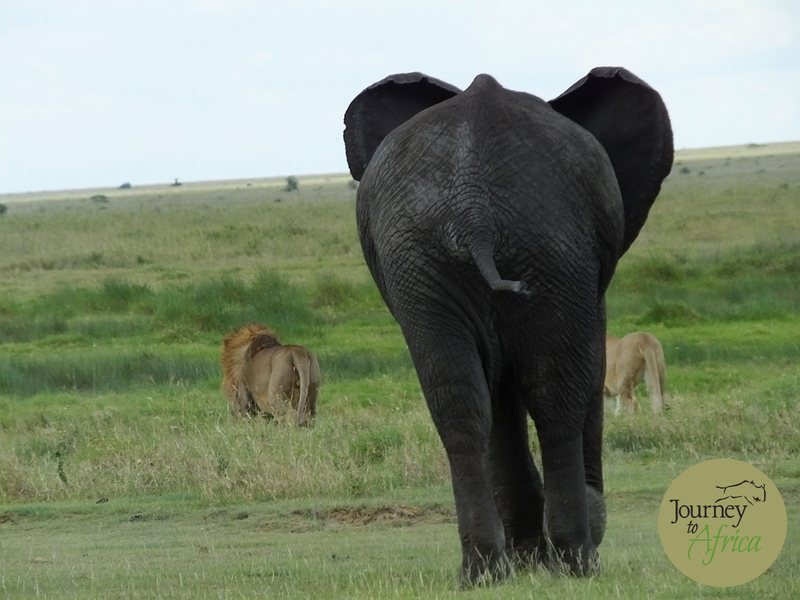 Together, we can plan your family Safari for the memory books. What a heart-breaking subject to talk about. Poaching. But we need to so we can do something. Together my friends. Hear me out. 24,000 elephants poached in three years in East Africa alone. Around 8,000 in a year. 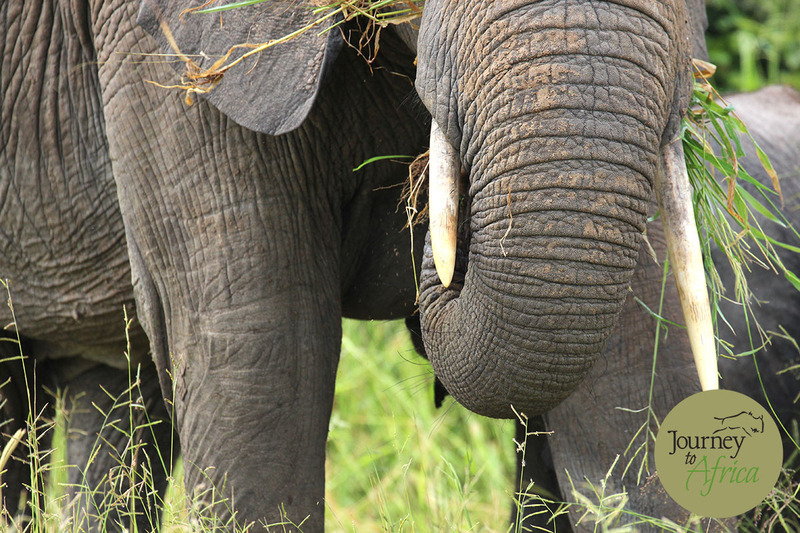 83,000 elephants combined in Central and Southern Africa in three years. Total this up and we are talking around 100,000 elephant souls. 100,000! Terrifying numbers. That is like saying the whole University of Texas Austin campus is wiped out. Forever. [National Geographic]. They say elephants will be extinct in 11 years. Extinct! Extinction is forever. 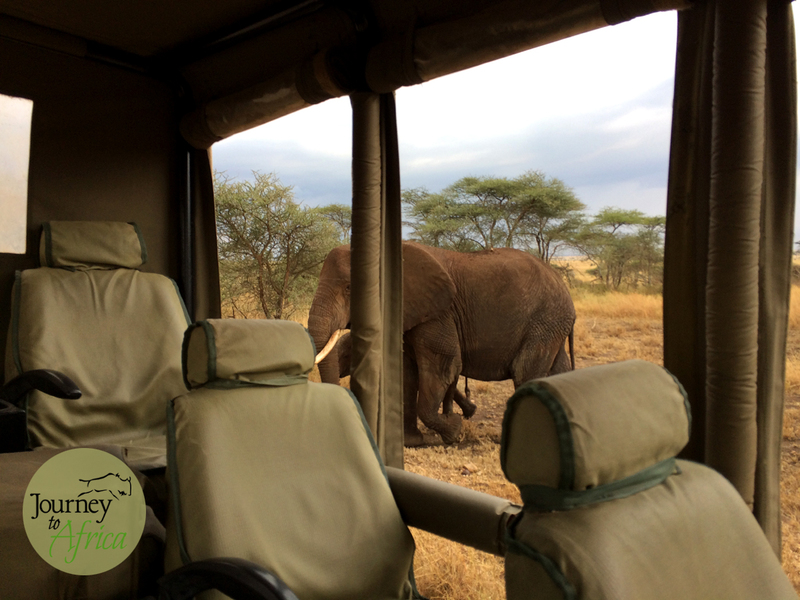 Can you imagine going on a Safari and not seeing elephants. These wonderous, intelligent, maternal, emotional, sensitive elephants and much more. We can not fathom that. What can we do as wildlife lovers and preservers? Let us start with four things. 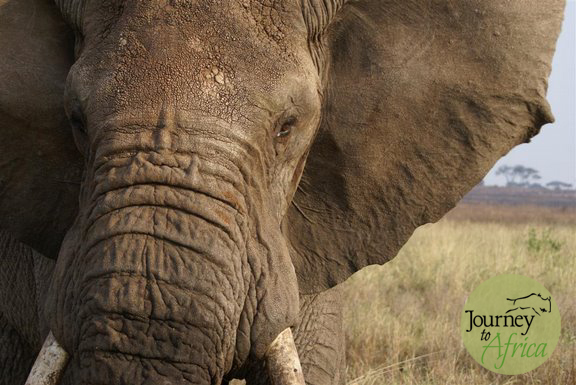 Countries that continue to sell ivory legally should stop this harmful trade. Asia countries like China and Vietnam are heavy users of ivory. Their new-found wealth is fueling the demand. Wildlife supporters within the Asian nations are working hard to raising awareness. Houston Rocket super star and Chinese citizen Yao Ming has been to Kenya many times to see the atrocities first hand. Action hero Jackie Chan has joined the fight. They are spreading awareness to their countrymen. Look at this amazing WildAid film by Chinese film star Li Bingbing. Oh so powerful. How can we let the end-user, the ‘unaware’ trinket wearer, the collector of fine ivory carvings or the person who is thinking about using ivory to show wealth what really happens. [LA Times Article]. It is not just one trinket or just one elephant. 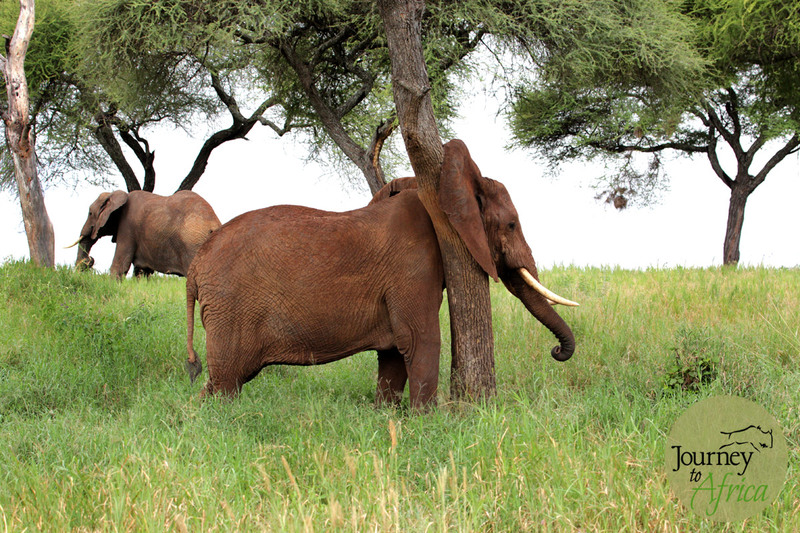 Elephants are not just beautiful to watch, they are vital to the eco-system. Their footprints collect watch for the small animals, their dung spreads seeds, the branches they break for food makes compost on the ground. 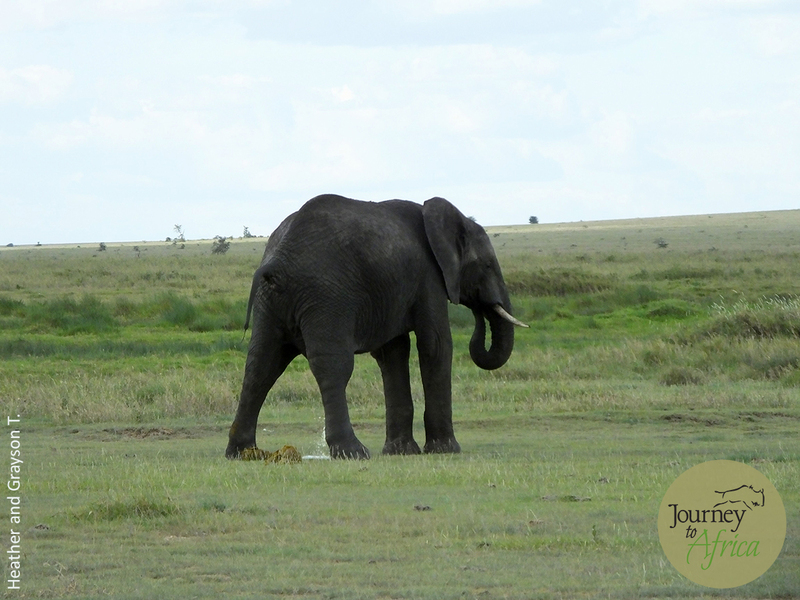 They have excellent memory and other animals depend on elephants to remember water source during droughts. Elephants are part of a bigger picture. They need to see what is happening to the elephant when it’s tusks are butchered away. The horrible death the elephant suffers when their tusks are hacked, the orphan[s] that is left behind, the terror to the whole elephant community and the generational deterioration of elephant wisdom. That buying ivory is actually funding terrorism. Watch The last days of ivory by director Kathryn Bigelow. Terror groups are using ivory to buy weapons so they can hurt and terrorize us. Security for our elephants. We really hate that this is what it has come down to so we can ensure the safety of our elephants. Funding ground rangers, ground vehicles, flying planes, drones, night vision, etc. Unbelievable but it is what it is. There are many organizations that do good work and when you stay in some of our lodges, you money goes into elephant conservation. Some of the hard-working organizations are – David Sheldrick Wildlife Trust, Big Life Foundation, WildAid, Save the Elephants. Our friends at Elephantopia take care of Kavala at Game Rangers International. Please. Time is running out. Our elephants need us for their survival. But, we can do it. Together. When you are game driving close to Lamai Serengeti, you have to squint a bit to see the rooms peaking up from the Kogakuria Kopje. 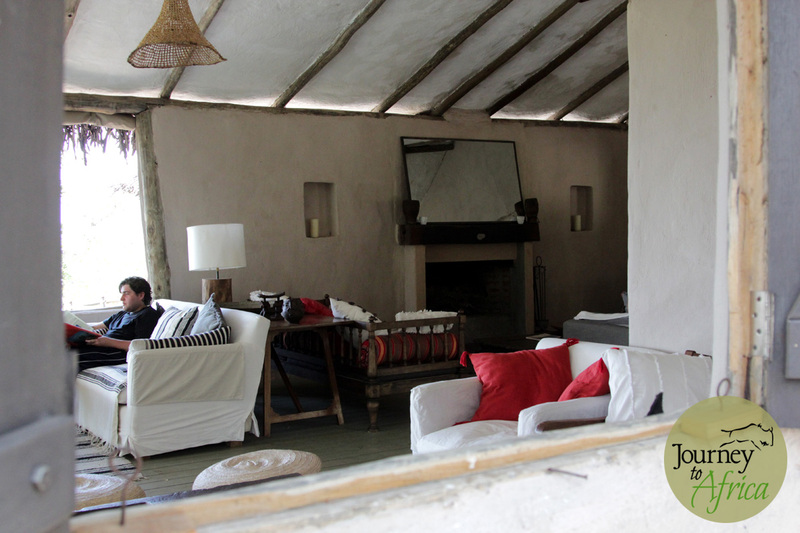 Each of the rooms and the main areas are carefully set not to be too obtrusive when you are game driving on the ground. 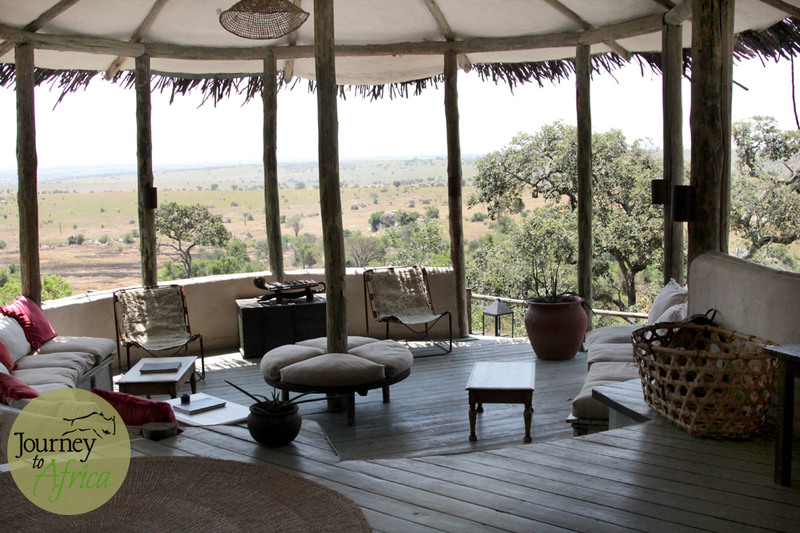 As you climb up the kopje towards the main area, you are welcomed in the circle by a fresh cold drink. 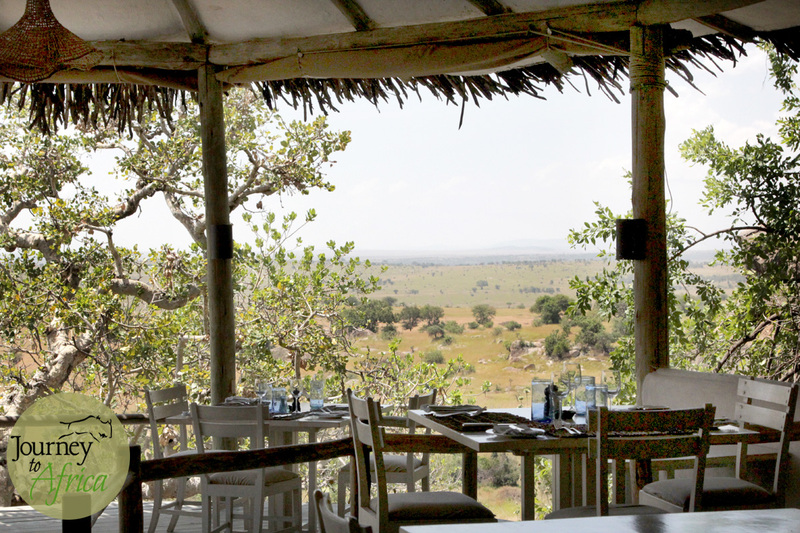 You are in bush chic Lamai Serengeti. Nick and Janna, the current managers of Lamai Serengeti were gracious hosts and showed my around this earthy + serene property. Part of the lovely lounge at Lamai Serengeti overlooking the Serengeti. Cozy comfortable seating. Cozy comfy lounge. Enjoy a warm fire during cooler months. Life on Safari is delicious! And the views. The main area of Lamai Serengeti is spacious, serene with neutral toned furniture and splashes of color from pillows. You want to sit and just stare at the expansive view with your cold drink in hand. Need to check your email after your game drive, wi-fi is available at the library near the lounge. Take a drink from the well stocked bar.Food at Lamai Serengeti is excellent. After all, Life on Safari is delicious. That’s a nice boulder – Shrek. The entrance to your spacious room. Notice the window near the door. That is where your morning coffee / tea and snack will be placed. The 8 rooms are all well spaced out. Each of the main rooms have king beds or can be converted to two twins. A day bed can become a triple if necessary. If you are a family with 2-3 younger kids, they have a very comfortable family room. The kids room has two twin beds bordering the master room. If you need two separate rooms, they will put you in two rooms close together. Kids over 6-year-old are warmly welcomed. 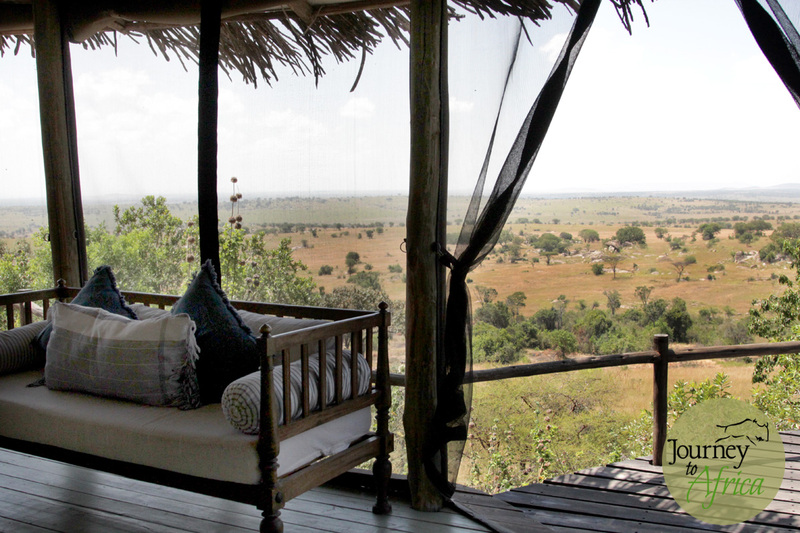 Need your own space in Serengeti? Hamna shida [no problem]. 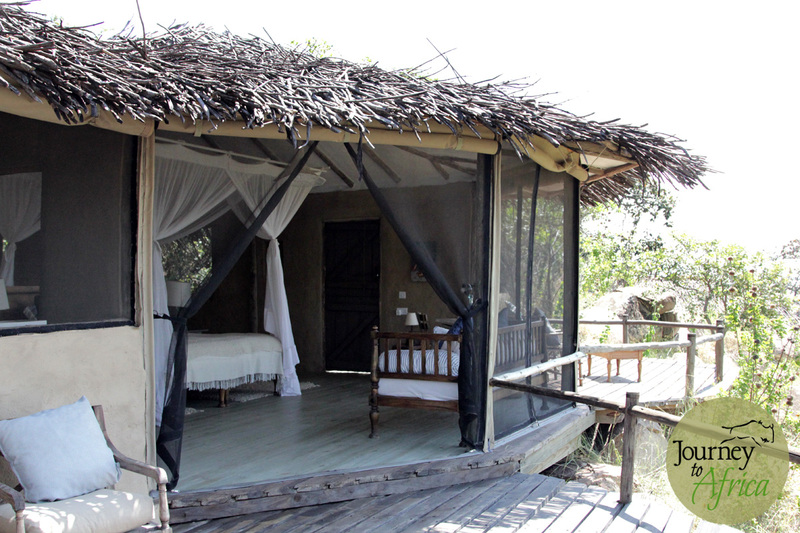 Lamai Serengeti has 4 rooms that can cater up to 8-10 people. You will have your own pool, personal chef and butler and separate entrance. Honeymooner on Safari? 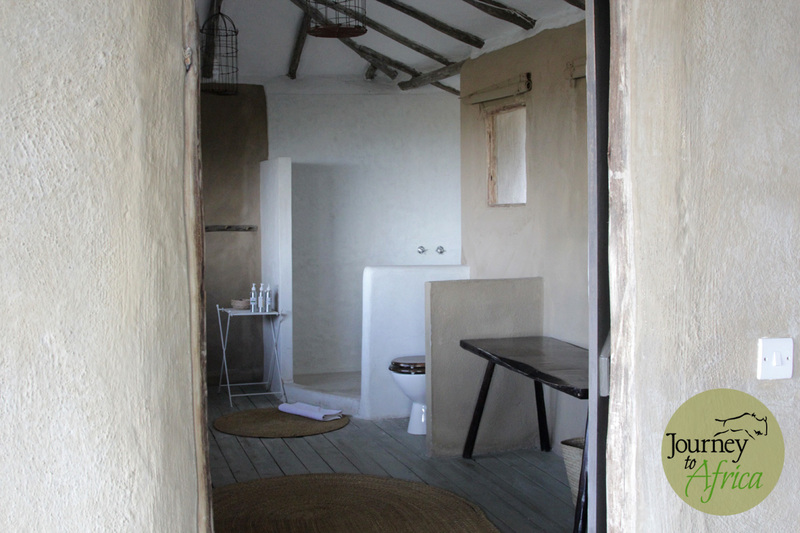 Your room will be high up on the kopje where you will have the ultimate privacy – just be sure you are ready the conquer the kopjes. The large rooms made with local material. Neutral with color accents keeps the rooms soothing. Mosquito nets surround the whole room. 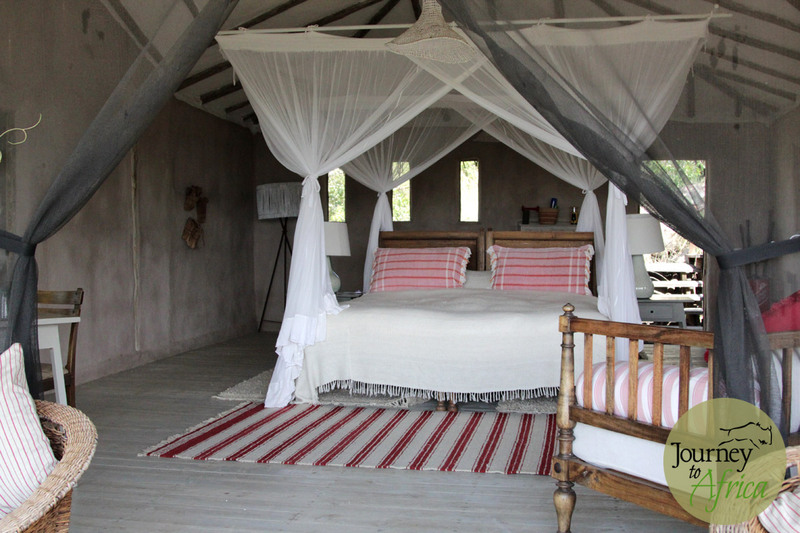 With all the room at Lamai Serengeti, you can close in the whole room with mosquito netting and keep the bugs at bay. Especially great at night when you can have visible views of the outside without bugs bothering you. Use the day-bed for to enjoy a good book read or pen a letter home with postcards available on the desk. We will mail the card for you as well. A must do is enjoy the outside deck. 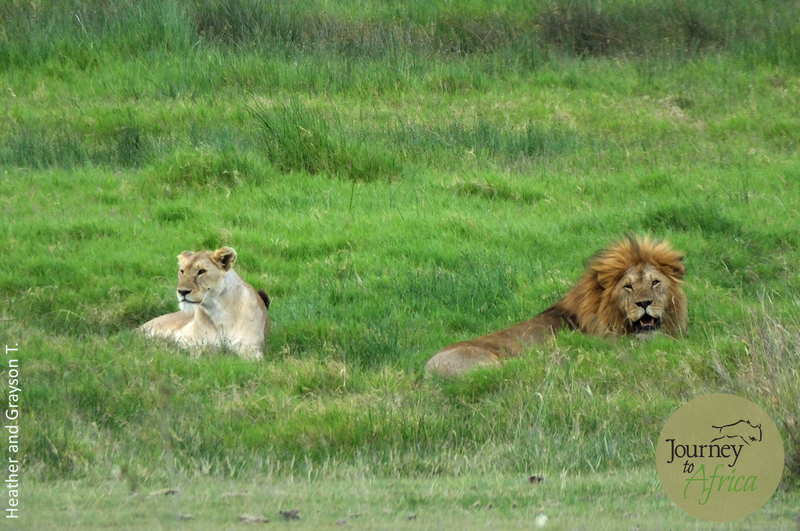 Sit, admire, ponder, relax and pinch yourself – you are in Serengeti. The amazing views from the rooms. All the rooms face towards the Serengeti. With a binoculars in hand, you can game view from the comfort of your own room. You will not bump into each other in this large bathroom. Using concrete, wood and local materials, this chic bathroom is sure to impress. 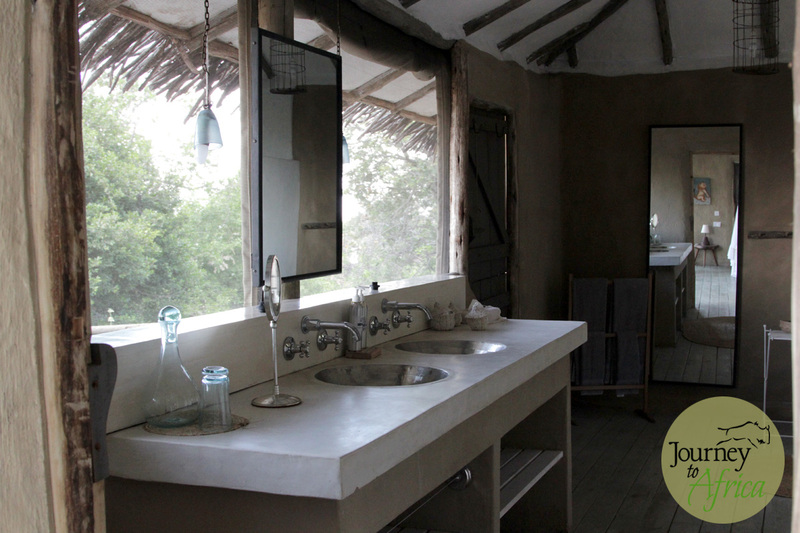 Flush toilet, hot and cold showers, running sink water and all with amazing views of Serengeti. Brushing never felt this pleasing. There is a door for privacy to this large spacious bathroom. Enjoy your views while brushing your teeth. Be ready to enjoy walking Safari with our guides in the surrounding kopjes all the way to the bottom. 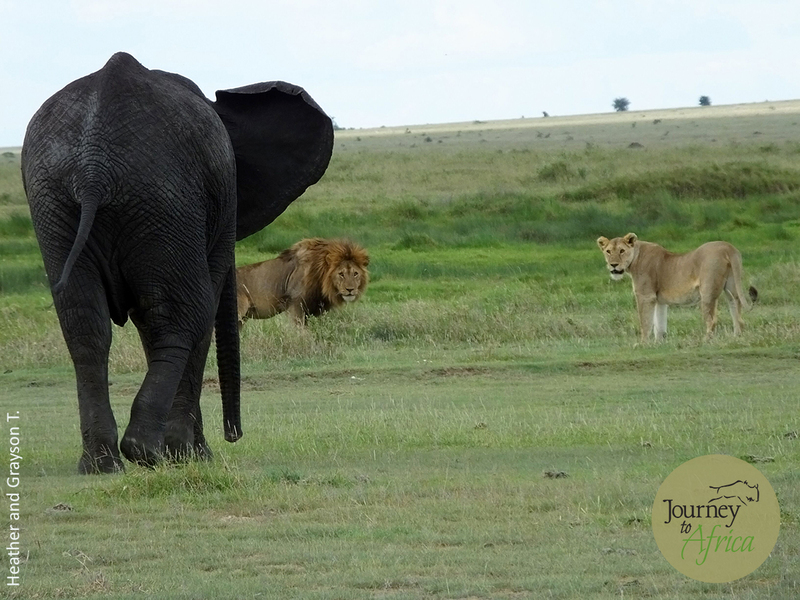 This always get your heart racing and gives you a different perspective on Safari. 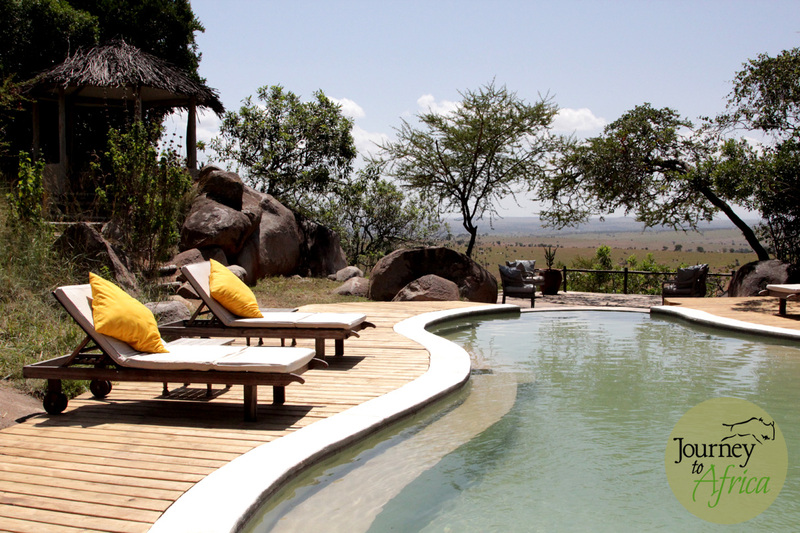 Oh and they have a pool with a view of Serengeti. Now how is that for possible siesta afternoon. Take a siesta by the pool on warmer days. 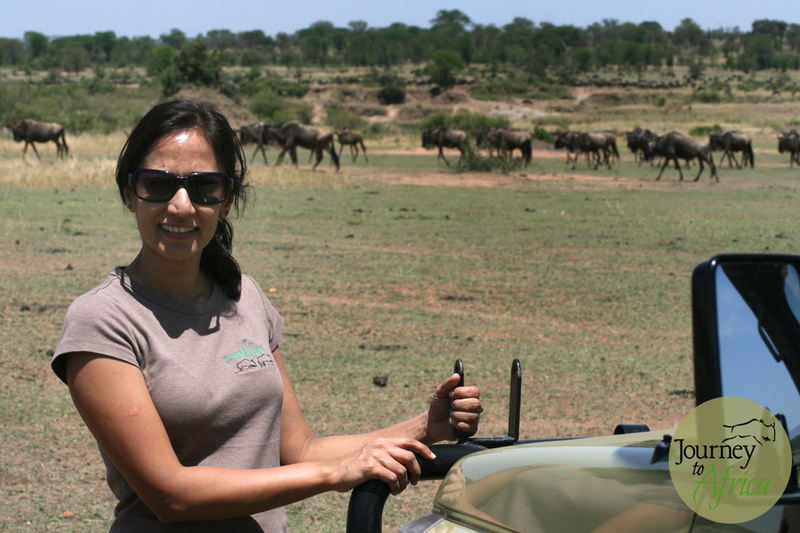 Happiness is being on Safari! And enjoying great service, amazing surrounding and all the creature comforts from a great lodge only enhances your experience. 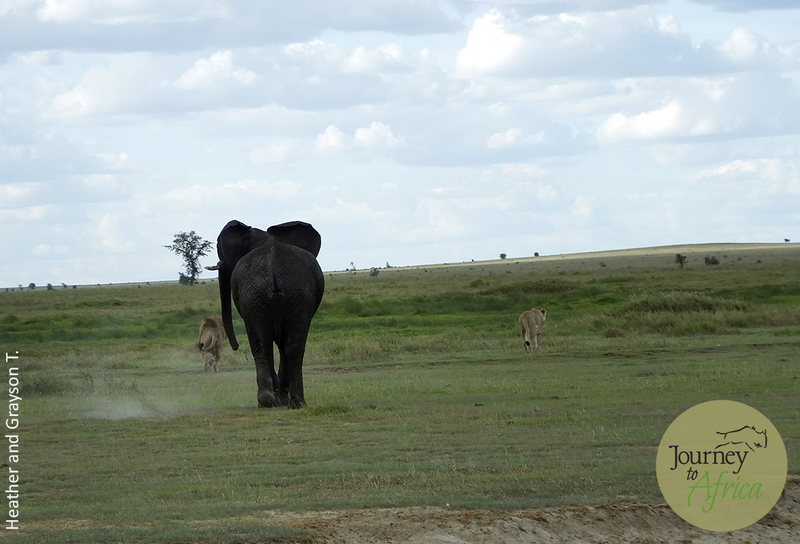 Make memories on your Safari when staying at Lamai Serengeti.